How to export files from AbleCommerce? As AbleCommerce has some peculiarities, you will need to upload source data during migration. Therefore, there is a need to export it from your store’s back end. 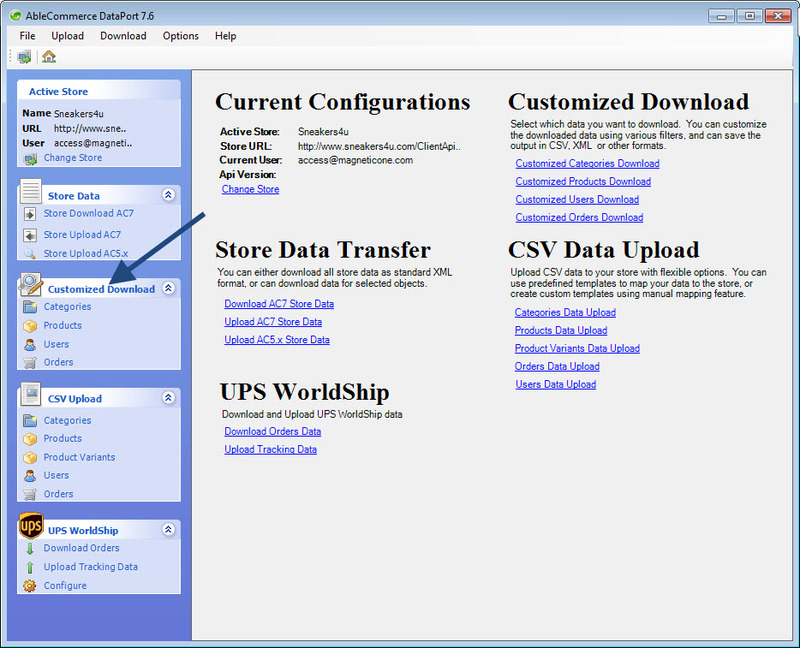 How to export data from AbleCommerce Gold? How to export data from AbleCommerce 7.x? 1. Go to your AbleCommerce admin panel and log in. 2. Proceed to Data -> Export. 3. In case you want to export products and variants, choose Products/Variants from dropdown menu. And afterwards click download icon near appropriate field to proceed the action. 4. If you need to export orders from AbleCommerce store, click Orders. Export CSV file selecting the icon in front of the required field. 5. When you have to get users list CSV file, go to Users and choose download icon. 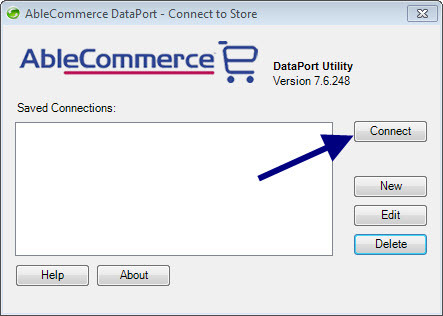 If you are using AbleCommerce 7.x, you will need to install AbleCommerce DataPort from the official website. Then, follow these steps to export required data in CSV files. 1. Connect to your store admin panel via this software. 2. 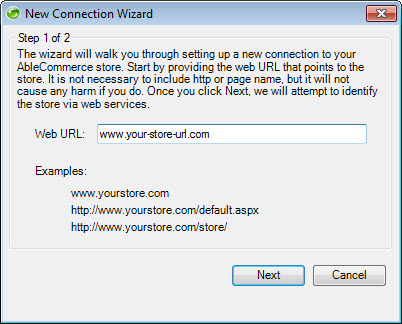 Paste your store URL address and press Next. 4.Once you’ve got connected to your store data, download required files and save them to the folder that will be easy for you to find. Note: You should select CSV format while downloading source files. 5. 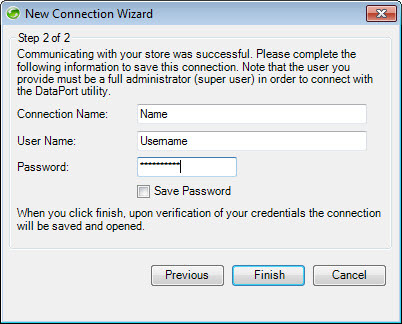 Then, go back to Migration Wizard and upload all required data to the corresponding fields. If you face some difficulties feel free to contact our Support Team.